Tried to do it for the last hour and doesn't seem to work. Please help? We'll be more than happy to assist you. How can we help you? 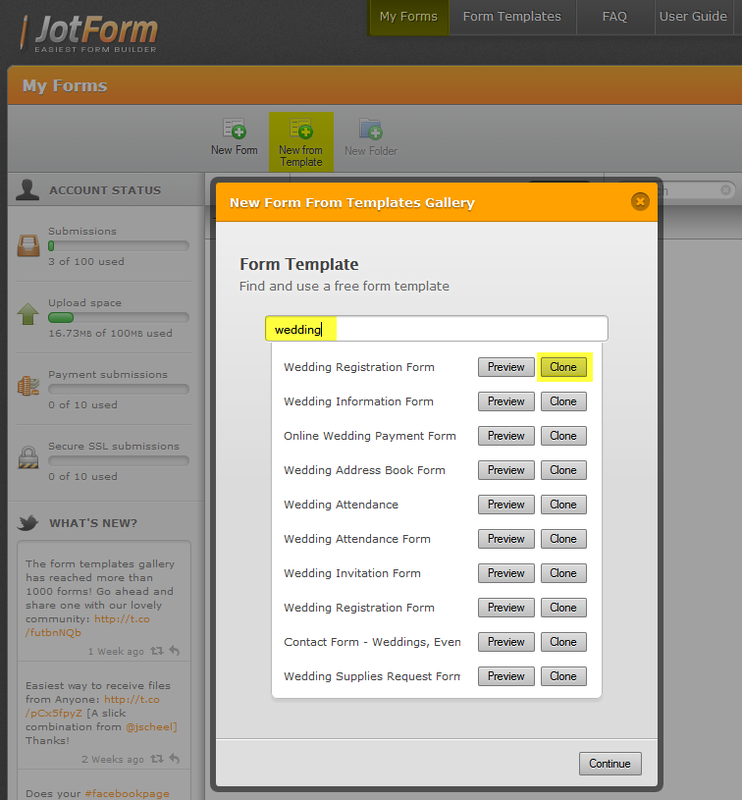 By the way we have also a lot of Form Templates. You might like to take a look at them. Yes that's what I was actually referring to. do this? I wanted to use the wedding form template. We are sorry for the inconveniences caused. That problem with cloning forms via Templates Gallery will be fixed quickly. In the meantime, you can clone any form manually. 1. Go to My Forms. 2. Click on the New from Template icon. 3. Search for Template and Clone it.